is the eagerly awaited follow-up to Cradle to Cradle: Remaking the Way We Make Things, the 2002 book that is widely acknowledged as a seminal text of the sustainability movement. 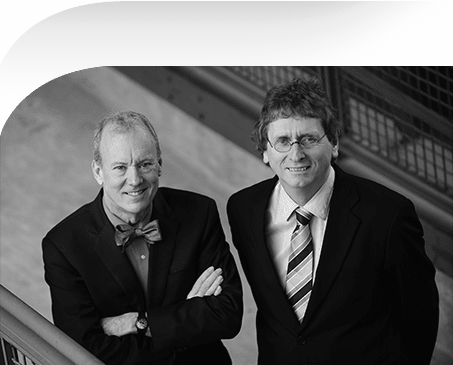 William McDonough and Michael Braungart imagine how human society might, at last, begin to rewrite its role in the history of the natural world. 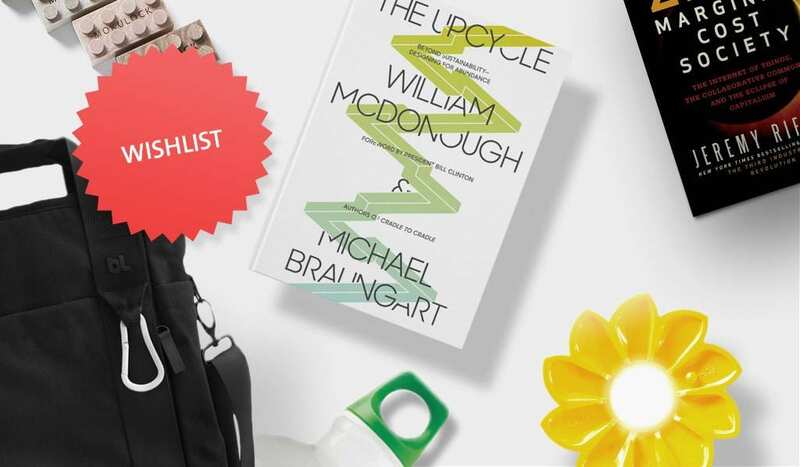 In The Upcycle, the best-selling authors offer numerous fascinating scenarios in which humans transcend the role of mere stewards of the planet. Instead, they suggest, why not become co-creators of the simplest invention ever: abundance? 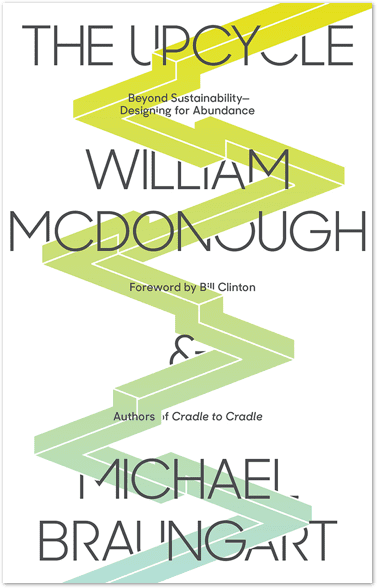 Drawing on a decade of lessons in putting Cradle to Cradle concepts into practice with businesses, governments, and people around the world, McDonough and Braungart invite us to reimagine everything from doorknobs to the Hoover Dam. In a world that uses design as a tool for positive impact, industry can do better than “do no harm”: it can actively improve everything with which it comes into contact. For McDonough and Braungart, the questions of resource scarcity and sustainability are questions of design. And they are practical-minded visionaries: They envision beneficial designs of products, buildings, and business practices—and they show us these ideas being put to use around the world as everyday objects like chairs, cars, and factories are being reinvented not just to sustain life on the planet but to grow it. It is an eye-opening, inspiring tour of the next industrial revolution as it unfolds in front of us. The Upcycle is every bit as ambitious as such classics as Rachel Carson’s Silent Spring—but its mission is very different. McDonough and Braungart want to turn on its head our very understanding of the human role on earth: We should not just protect the planet from ourselves but should redesign our activity to improve the planet. And that goal is well within our reach. Cradle to Cradle is a foundation, a fulcrum against which we can lean levers of desirable change. This book, The Upcycle, is an update and a collection of observations and stories of continuous improvement. To us, upcy¬cling is the most exciting project of all. It’s going to take all of us. It’s going to take forever. And that’s the point. We want you to think of every component of your design as being borrowed. It will be returned one day to the biosphere or technosphere. It is your role to return it in as good a condition as you found it, as a good neighbor would. We have been in this work for decades, and still . . . still we stop every time a company mentions a technical product as having a product life or life cycle. Technical products don’t die and vanish. This is the problem and the opportunity. Speak to the world in positives. Don’t be a pessimist: The glass is half empty. But don’t just be a passive optimist either: The glass is half full. Start with inventory; take scientific stock of your situation. The glass is full of water and air. Then signal your intention for design. I want the glass to be bigger. No need for scolding. No need for “shoulds” and “musts.” The job of upcycle advocates is to encourage people and to inspire behaviors, helping all entities understand that change is possible, beneficial, profitable. We can find ways to honor people’s intentions. Think small, think big, think adding good on top of subtracting bad. There is always room for more additionality. We can add on, not just pile on. Get specific about your locality. You will arrive at more ingeniously indigenous solutions if you let the locality guide you. Some solutions can have global benefits and applications, but remember to start where you are. We—all of us—have a lot to do. We know that this work requires all of us and it will take forever, but some of this work is urgent. Let’s start now. You have one life and, like a tree, you can create abundance, a profusion. You are a known positive. No need to think of yourself as misplaced in the natural world, or that you cause destruction with your presence. Accept that deep in your heart and mind. Then go forward. Be successful. We hope to enjoy all that you share. And tell your children that things are looking up. Doing less bad is not the same as doing more good. We are seeing the uptake of this idea. Don’t think about minimizing the footprint of a person or society. Think about a beneficial footprint. Efficiency as insufficient, but we honor the transitional state. Committing to continuous improvement is the beginning of a great journey. We know that energy independence and local jobs are important. We can upcycle our thinking about how to get more of both. Amtrak, represents a ribbon of real estate for distribution of renewable energy across the country, creating jobs for each community along the way. Why not? We are in a hurry, and we’re not even thinking. It is time to move from being timefully mindless to being timelessly mindful. As we discussed in Cradle to Cradle, they key is that everything exists within one of two nutrient cycles—biological or technical. Once we treat things as nutrients. It was the early 1990s when I first started saying “away has gone away.” I am delighted by the prospect of endless resourcefulness of energy, things, and people. Short sighted design thinking can result in intergenerational remote tyranny. Good design is a human right. There is no more delightfully serious function in life and in business that to create joy. Houston, we have a solution. … USA TODAY selects 12 recent books on the environment that offer tales of adventure, innovative ideas and cogent analyses of lingering problems — whether climate change, toxic chemicals or ocean pollution. Some are sober stories of children suffering lead poisoning or coastal communities sinking into the sea. Others are more hopeful.